Erica Ziel is the founder of Core Athletica Inc. and Knocked-Up Fitness, as well as an adviser for Fit Pregnancy magazine. She holds a Bachelor’s degree in kinesiology and health from Iowa State University and is a certified personal trainer, Pilates instructor, nutritionist and mother of three. Thinking about wearing an abdominal belt after after pregnancy to regain some of your pre-baby body? There are several things to consider and think about when it comes to binding and wrapping your belly after delivery. Some of it is hype (it's not a miracle cure, after all), but there are also some real potential benefits. Wrapping with cloth soon after giving birth has been going on for thousands of years in many cultures, as it's believed to help reduce swelling, tighten overstretched muscles and give the back more support to help decrease aches and pains. Once your baby is born, all of a sudden your balance shifts because your belly is nearly what is was around month five to six of pregnancy. Some hospitals in the U.S. follow the practice of wrapping soon after birth before mom leaves the hospital. It’s important to note that there are different types of wraps, corsets, belts and splints. If you choose to wear one, make sure you find one that fits your body well and allows for adjustments so you can be sure to avoid wearing one too tightly. While wrapping soon after birth could be extremely beneficial for some, a 2013 study from the International Journal of Medical, Health, Biomedical, Bioengineering and Pharmaceutical Engineering showed wearing a postpartum support belt might decrease ab strength. Those who wore one for six weeks starting the second day after delivery had less intra-abdominal strength when compared to women during that same period who did safe abdominal strengthening exercises. They also found a decrease in diastasis recti at six weeks postpartum in those who did safe abdominal exercises postpartum. 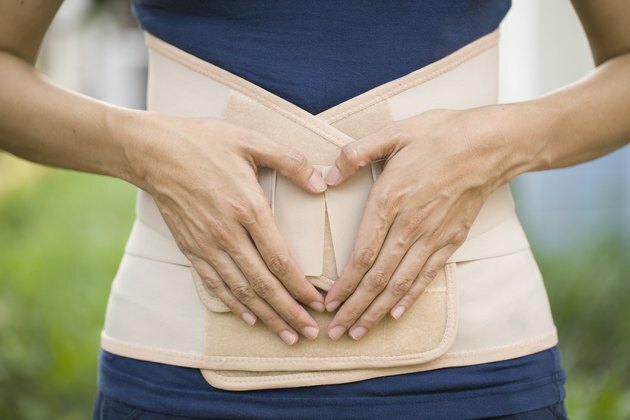 Some professionals recommend clients with a large diastasis recti (three finger-widths or more) who feel like they can put their hand inside your abdominal cavity could benefit from wearing a postpartum support belt. However, this should be in conjunction with safe (doctor-approved) strengthening exercises. Use a wrap or support belt to help activate the abdominal muscles. It's not about holding everything in but rather helping improve your core strength. Focus on re-creating deep core strength (see instructions below). Stand tall — good posture can improve abdominal strength and core activation. Avoid placing it too tightly. You must be able to take in a full breath while wearing it. If you feel pressure pushing down on your pelvic floor muscles, the wrap is too tight. Avoid over-wearing. You usually only need to wear one for an hour or two at a time. 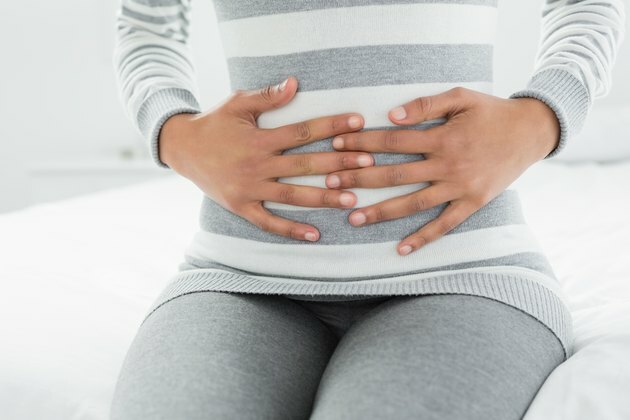 Julie Wiebe, women’s health physical therapist, warns that wearing a belt or wrap too tightly can do more harm than good on your pelvic floor. If you cannot properly engage your deep core, be cautious of wearing a belt, especially wearing one too tight. Inhale to relax pelvic floor muscles while breathing out into the sides and back of your ribcage. Relaxation is key to proper activation on the exhale. Exhale to initiate zipping up the pelvic floor and lower belly (transverse abdominals) and lengthen through the top of your head. Researchers from the University of South Australia discovered that in order to properly activate pelvic floor muscles you also need to activate your transverse abdominals and internal obliques. When held properly, you will feel a light core connection and be able to breath deeply out to your side and back. Holding this light deep core connection can help to strengthen your core daily, plus gives added stability to your spine. Initiate every exercise you do with this deep core activation to strengthen your abdominals and work on repairing diastasis recti. What Is an Abdominal Binder Used For?